AUTHOR: Howard Roark, a Chennai based Software Engineer, who derives pleasure from interchanges on psychology and philosophy. BEST SELLER(S): NEWTON'S LAW REVERSED Conflict - Some evade, some efface, while most embrace is his debut novel. On a trip to meet an ailing relative in Gangaikondacholapuram, Akash is introduced to conflict when a simple village girl, Ganga, trespasses his thoughts. His mind fails to elude Ganga, and being overwhelmed by the new found emotion, his attempts to free himself of his battles only grip him tighter.As his mind flits between Ganga and Ganesan, another tormented soul, Akash's only reprieve could have been a banter with his father, when unexpectedly he hears the news of his father's expiry. Little did he know that his father's demise and the ensuing trip to the village would alter his cynical view of the world. In this journey from boyhood to manhood, Akash derives profound meaning through his retrospective deliberations on his dead father's words. "From atop the hillock, the world looks open as he lies on the grass beneath a benevolently-spread and richly-leaved Gulmohar as the wind whistles by his ears causing a light and steady hum. Caused by nothing, an easy calmness ensues. I wish I could forget my identity and enjoy the beautiful stillness of this moment. Appa once said 'Identity breeds the self. The self breeds ambition. Ambition breeds passion. Passion breeds strength. Strength breeds vanity. Vanity breeds...' Yes! And because of all this, the stillness no longer has any beauty left. Much like an effect being the cause of another effect, my joy is caused by this now.'" Hello! Long time no see and a new book review!!! Again I have been trumped by a debut novel (If you have read my previous reviews, you would know what I mean). 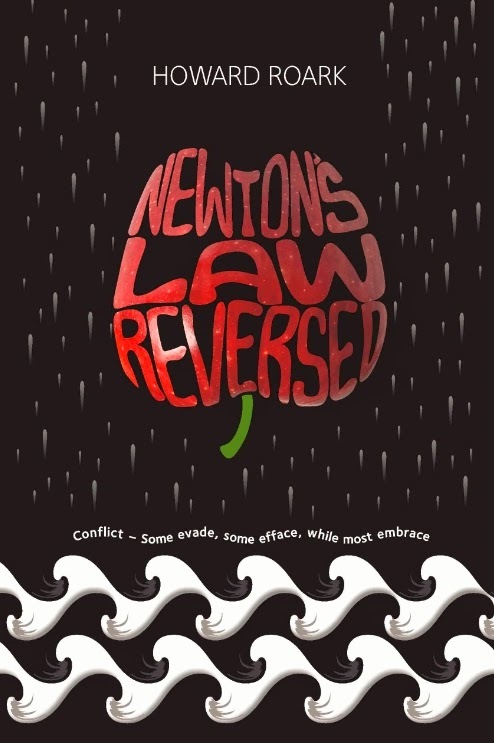 NEWTON'S LAW REVERSED Conflict - Some evade, some efface, while most embrace stands out among others due to its hand sketched illustrations and cover. The author's narrative style vacillates between the present and the past, ruminating on the protagonist's father's words. 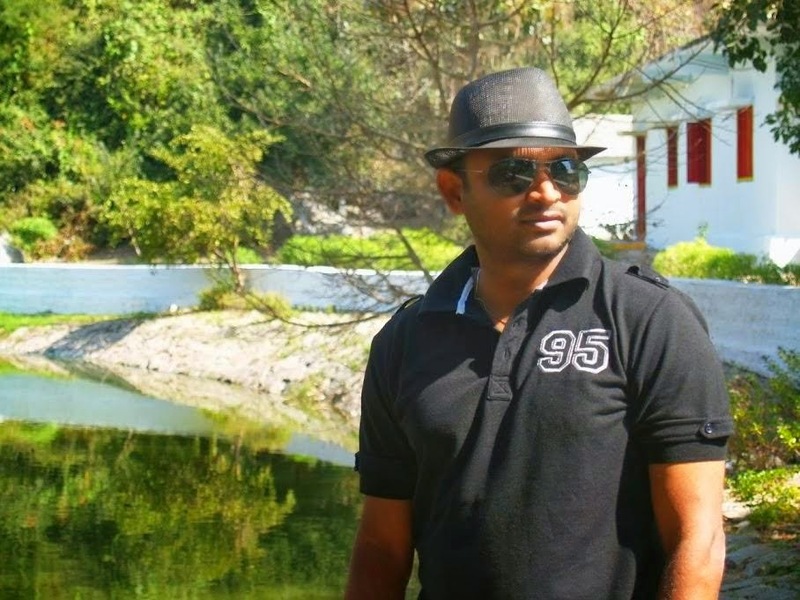 The tale begins at Ganagaikondacholapuram, a small village to which Akash belongs. Post his father's death he recounts what he observes in a resigned and judgmental manner. Being from Mumbai, he is quite critical in his outlook of the village folks and their demeanor. He falls for Ganga, a simple, English speaking girl (I will mention the relevance later) and rescues her from a sticky situation, evolving into a better man. He meets a set of people - Ganesan , Velu, Suresh and others, who show him the different view of the world. I personally had to struggle a lot to keep up with the narration style, because the transition between Akash's past and present was not very smooth. I found the character's musings (which kept interrupting the flow of the story) distracting and annoying at places. To break the stereotype of belonging to a culturally rich and beautiful South Indian state, the character "abhors" idlis and the villagers. I felt the writer tried too hard to ensure that the reader does not mistake the protagonist to be a gentle and mature person. Too hard. Akash's views on people's language and the superfluous usage of words ruins the book a little for me. NEWTON'S LAW REVERSED Conflict - Some evade, some efface, while most embrace is a one time read. NEWTON'S LAW REVERSED Conflict - Some evade, some efface, while most embrace @Frogbooks - Leadstart Publishing Pvt. Ltd. Author's Copy, the book is available at Rs. 145 on flipkart.